Hands up if you’ve heard of Open Courseware. The Education Department has of course, but I’m not sure that’s true of the community more generally. I was unaware of it myself until literally stumbling upon it on the quite excellent Stumble Upon mobile app that I frequently browse. (It’s available on both iOS and Android as well as on the web: stumbleupon.com. And no, I don’t get a commission!). The OpenCourseWare (OCW) movement as it’s known began in 1999 in Germany and really took off three years later when American universities, notably the Massachusetts Institute of Technology and Carnegie Mellon University, embraced it. 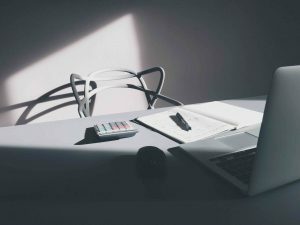 There are now more than 250 institutions around the world that have made their course materials available for free on the Internet as open educational resources through the Open Education Consortium (oeconsortium.org), a non-profit organisation registered in the United States that operates globally. As of December 2015, over 2,300 courses were available. There are graduate and postgraduate courses in all manner of subjects, complete with lectures, notes, videos, assignments and even textbooks. Okay you can’t actually get a degree qualification unless you pay, but having all that information at your disposal for nothing is not to be sneezed at. And because you don’t sit an exam you can complete your chosen course entirely at your own pace. I’ve always lamented that because of circumstances at the time I was unable to read English at university as I would have liked, and settled instead for Modern Languages. Maybe, just maybe, I’ll summon the willpower to eventually put that right, now that I’m into my 60th year! …Not before enjoying the summer though, my first since retiring. I’m a bit of a beach bum and I can’t wait to soak up the sun for the next couple of months instead of just a couple of weeks, as I had to make do with during my working life. For us in the Northern Hemisphere today is the longest day of the year. The summer solstice to give it its proper name. If you like your stats, the sun rose at 7.04 this morning and won’t set until 21.41, giving us a whopping 14 hours and 37 minutes of daylight. That’s very nearly five hours more than we’ll get on the shortest day. Even though 21 June heralds the summer the date is tinged with just a little regret for me. That’s because from tomorrow, days will get progressively shorter until the low point of 21 December, the winter solstice. My least favourite day is when clocks go back an hour, ending Daylight Saving Time. This year that will happen on the 29 October. In one fell swoop we’ll lose a whole extra hour’s daylight, dammit! But I won’t dwell on that right now. Tonight I’ll sip a mojito as I watch the setting sun, grateful that I’m able to ease my brain into neutral for a while: Yes, Stephen’s Niche is taking a summer break, but I hope to return if the editor lets me! Whatever you’re doing, have a great summer and see you soon. When Chief Minister Joe Bossano stood before the United Nations’ Special Committee of 24 on Decolonisation on 28 July 1992 he pointed out that Gibraltar had been absent from putting its views directly to this committee for a quarter of a century. A further 25 years have since passed. 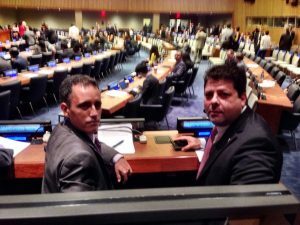 This month Fabian Picardo, Mr Bossano’s successor as GSLP leader, delivered the latest speech at the UN in defence of Gibraltar’s right to self-determination. Besides addressing the C24, the Chief Minister also goes to New York in the autumn to plead the Rock’s case before the Fourth Committee. To what avail? Despite the best efforts of Mr Bossano, Mr Picardo and Sir Peter Caruana, who also lobbied the UN for the almost 16 years the GSD were in government, there’s been no tangible progress. The C24 has ignored repeated invitations to visit the Rock to see the reality of Gibraltar for itself. With slight variations, the Fourth Committee continues to adopt an annual Consensus Decision on Gibraltar that amounts to little more than an Anglo-Spanish fudge. The UN has not recognised our right to decide our own future and, frustratingly, Gibraltar remains firmly on its list of 17 non-self-governing territories alongside places like the Pitcairn Islands and Western Sahara. This despite our updated 2006 Constitution that arguably grants the maximum amount of self-government short of independence and so meets the delisting criteria. Are these twice-yearly trips to the UN worth it, then? I went there many times starting in 1993 covering the interventions of all three chief ministers mentioned. You can’t appreciate it on TV, but scant attention is paid by delegates at either committee to the words of the various petitioners. They’re more intent on putting the finishing touches to their own speeches than listening to what others have to say. I understand and agree that it’s important for Gibraltar to continue to assert its right to self-determination and rebut Spain’s “territorial integrity” argument. But does the chief minister, or any other minister for that matter, have to physically be in New York to do that? Neither the UK nor Spain send ministers to either the Committee of 24 nor the Fourth Committee, relying instead on members of their Permanent Mission to place their respective positions on the record. We have a government representative in New York who could perfectly well read out the chief minister’s prepared speech. In this Internet age, there’s no reason why even last-minute changes couldn’t be incorporated into the text. And if there are questions from the floor, which in my recent experience there rarely are, Number Six Convent Place could provide the answers subsequently. The important thing is for the Gibraltar view to also be on the record and it would be, regardless of who delivers the address. Author gibstevePosted on 19th June 2017 Leave a comment on ‘UN’necessary? With the UK general election taking place tomorrow I thought I’d share some of my early memories of covering elections in Gibraltar. My first, in 1988, was held amid a sense that the end of an era was at hand. Led by Sir Joshua Hassan the AACR had, except for a two-year period, governed continuously since 1945, but that was about to change. The party’s defence of the 1984 Brussels Agreement and the Airport Agreement of 1987 proved to be its death knell. When Sir Joshua quit politics just three months before the election the writing was on the wall. The GSLP swept into office, where it would remain for the next eight years. Curiously, what has remained most vividly in my thoughts about election night, the 24th March 1988, has nothing to do with the momentousness of the occasion. It’s the argument we had at the John Mackintosh Hall theatre, where GBC’s set was, during the break at the end of our first live link-up. Things hadn’t gone to plan and there was a frank exchange of views, to put it mildly, between news editor Paul Canessa on the one hand and his deputies Clive Golt and me on the other. It was probably just tension but I remember thinking “If he talks to me like that again, I’m going to throw him off this balcony”! Happily we all got our act together and there were no more flashpoints. There was nowhere near as much excitement for the 1992 election. The GSLP easily renewed its mandate with 73% of the vote, almost four times as much as the GSD. Once again it was Clive and I presenting on election night, and I still laugh to myself when I recall him trying to decipher the woefully inadequate graphics that were put up on our screens to indicate how the parties were doing. While they looked OK close-up, from where we were sitting we couldn’t read the figures and Clive was left to valiantly soldier on with commentary to the effect of: “We can see that the red line (the GSLP) is considerably longer than the blue (the GSD).” I kept mum, hoping the camera wasn’t on me to show the nervous grin I could feel creeping over my face! In between both general elections there was a by-election in 1991 provoked by Peter Montegriffo’s decision to resign from the AACR in order to form the GSD. 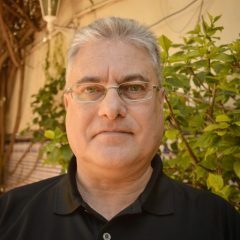 I chaired the phone-ins with each of the two candidates: Peter Caruana, who came from nowhere to contest and win the seat for the GSD instead of Mr. Montegriffo, and the AACR’s Douglas Henrich. What if no one calls? I asked. Don’t worry they will, the editor reassured. Well they didn’t. Not for Mr. Henrich anyway. I remember the initial feeling of anxiety as the minutes passed, the director telling me through my earpiece there were no calls yet. And then a sudden calmness and resolve. Forget it’s a phone-in, a voice inside my head said. This is now a one-to-one extended interview, treat it as such. I did, asking whatever came into my mind, and we got away with it. The experience of that phone-in taught me the importance of being well prepared, and I made sure I researched as much as I could for every programme I presented over the next 25 years. I’ll finish with my recollections of the 1996 general election. 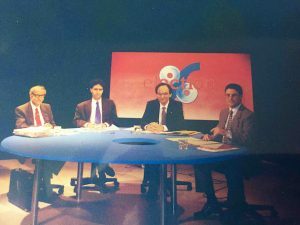 As in 1988 there was a feeling that change was in the air and the GSD would go on to overthrow the GSLP, obtaining nearly 10% more votes than Joe Bossano’s party. Paul Canessa had left GBC in 1993 and had not been replaced when the ’96 election was called. As the most senior members of the editorial team, Clive Golt and I convened a meeting to determine our election coverage. We agreed that Clive would again be the main presenter on election night and would also chair the Leaders Debate on the eve of polling day. On the Sunday Clive phones to say he needs to speak to me urgently. 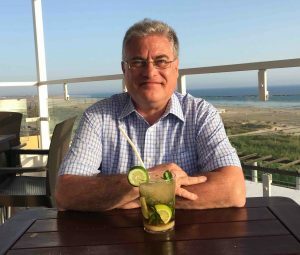 We meet and he drops the bombshell: he’s decided to stand for election with the GSLP! The following day I found myself in the surreal situation of covering the GSLP’s news conference to announce their line up and interviewing my erstwhile colleague as an election candidate. It also meant having to hastily rethink all the plans we’d made three days before. I was asked to do this and enjoyed every minute. I chaired the Leaders Debate myself and introduced various innovations for election night including comedy spots and for the first time an exit poll, that accurately predicted the result. Three weeks later I was appointed news editor, and was privileged to help organise GBC’s coverage of a further five general elections, two by-elections, three European elections and two referendums. Great fun, but I’m glad someone else will be in the hot seat next time! I know that Gibraltar is to a large extent dependent on the gaming industry, and we should be grateful to the many companies in this sector that have chosen to base their operations on the Rock. They’ve created thousands of jobs and facilitated the diversification of our economy that became necessary with the closure of the Naval Dockyard and other Defence cutbacks starting in the 1980s. 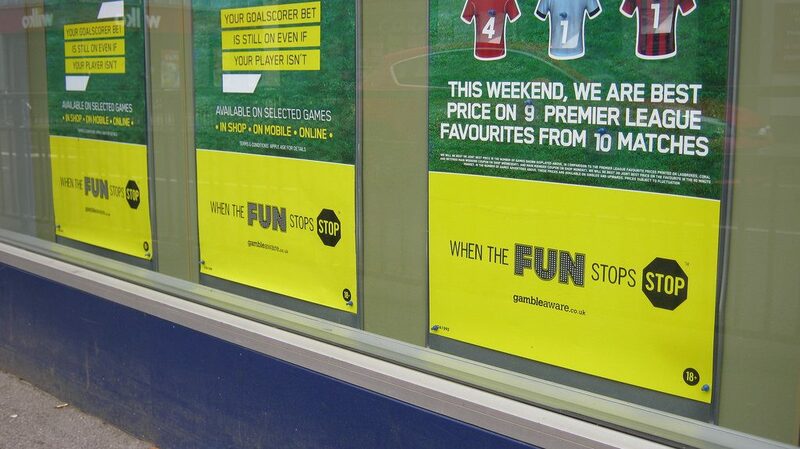 But as the football season draws to a close, I have to say that I’m fed up with the plethora of prime time betting commercials on UK television, especially sports channels. It’s almost impossible to avoid them. Try to do so by making yourself a cup of tea during half time and they’ll still get you, either in the build-up to the game or after the final whistle when you’re waiting for the post-match analysis and interviews. Don’t just bet on the result either. These days you can have a flutter on just about anything: the number of corners, fouls and yellow and red cards shown, to name a few. What’s more, with the advent of mobile phones and tablets you can now carry on betting right the way through the match – hooray! My personal opinion, incidentally, is that a true football fan wants to concentrate on enjoying the game itself and not be constantly checking the changing odds. Besides, how do you react when the requisite target has been reached? I suppose you just hope that nothing else happens in the minutes that are left that would deprive you of your winnings. I’m baffled that the UK Advertising Standards Authority can ban commercials it considers are in poor taste because they contain risqué images or colourful language, yet allows ads that promote betting, whose insidious effects may be much more harmful. A recent Bristol University study found that a quarter of men between the ages of 18 and 24 had gambling problems of varying degrees of severity. The lead researcher said young men are often a vulnerable group, and noted that today’s young adults are the first generation for whom it’s normal to see so much promotion of gambling. Power cuts that so plagued this community down the years have noticeably diminished. When there’s a failure of supply nowadays it’s usually due to planned works and Gibelec, to its credit, provides advance notice through the issuing of a press release, on its website and through social media. This allows residents in affected areas to plan ahead and not be caught on the hop. Regrettably the system isn’t so effective when the blackout has been caused by a fault. This happened recently in various districts including the Upper Town, where I live. I waited a few minutes in case it was a minor problem and power soon came back. When it didn’t I reached for the telephone directory to see whom to call. Dutifully I rang the first mobile number. Repeatedly. Engaged every time. Lots of people must be ringing I thought. I’ll try the other mobile. Switched off. Okay, I’ll try the first mobile again for luck. Still busy. Ah, there’s the 24-hour number. No reply and eventually an answerphone asking me to leave a message. After trying the two mobiles again without success I dug deeper into the phone book. Quickly call the two mobiles again in case I catch someone off guard and they actually answer. I’d all but given up and resigned myself to having a sandwich for lunch when, surprise surprise, someone in the distribution officers’ office picked up. He wasn’t aware there was a power cut and invited me to call the first mobile number. ‘Busy, eh?’ was the rejoinder. To cut a long story short, I eventually managed to get through to someone on the first mobile number who explained there was a fault affecting several districts. The problem hadn’t yet been identified so I would probably have a long wait. Power eventually came back after nearly three hours, by when I had probably digested my sandwich. The point I’m making here is that the consumer, who pays enough for his electricity, deserves better. I understand that there will be accidents and unforeseen problems. Hell I come from the broadcasting industry, which gets its fair share! But the system for dealing with enquiries and complaints has to be better. 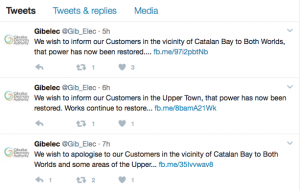 Throughout the time of the outage Gibelec provided no information, at least none that I saw. I checked on their website. Nothing. Ironically, their Twitter and Facebook feeds linked to a press release from the day before warning there would be an interruption to supply the following week, but nothing about the current (excuse the pun) failure. To be fair they did apologise on social media as power was restored to the various areas, but I would suggest that a more robust mechanism for keeping the public informed as and when an event is unfolding wouldn’t be amiss.